Can you believe it's finally summer time? School is out, the weather is amazing, and we're all giddy to be getting ready for vacation! It may surprise you, but I am not your typical fashion blogger when it comes to packing my luggage for a trip away from home. Being a mom of three kids, my hands are pretty full, all the time. From three sets of electronics, to books, and just stuff in general, I have a lot to keep track of on a daily basis. When it comes to getaways, both short and long, the less I pack, the better. There's a funny meme that I see floating around on my IG and Facebook all the time where a girl goes somewhere for 3 days and packs 35 outfits. That's not how I roll. 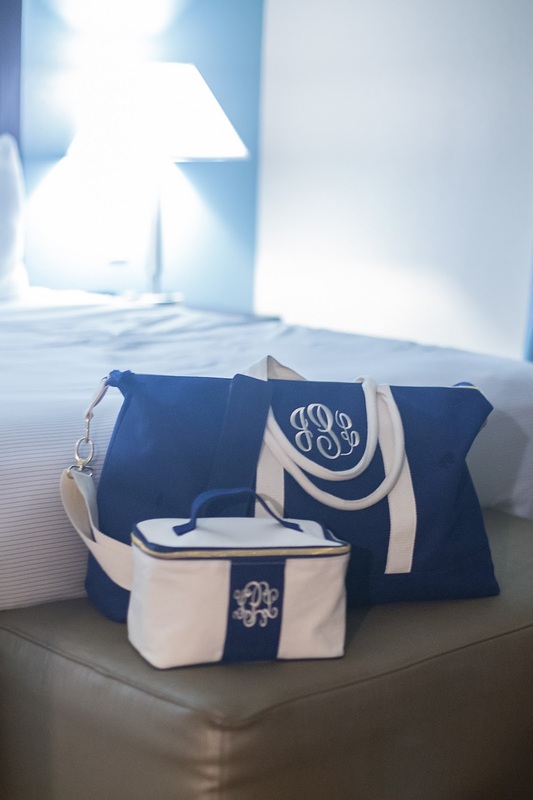 My Monogrammed Essential Travel Bag and matching Train Case from Marleylilly are my best travel buddies. They've been with me to Boston, Ohio, Los Angeles, Gatlinburg, and will travel with me soon to Florida and Nashville for our summer trips. What I love most about these bags is that they're just small enough to be carry-ons when we travel by plane. I couldn't love these two bags more. My newest travel bag is my Palm Paradise Beach Tote. This huge bag was great for carrying all our other necessary travel things like our heavy jackets and my beloved Abrazo Designs essential oil diffuser carrying case. 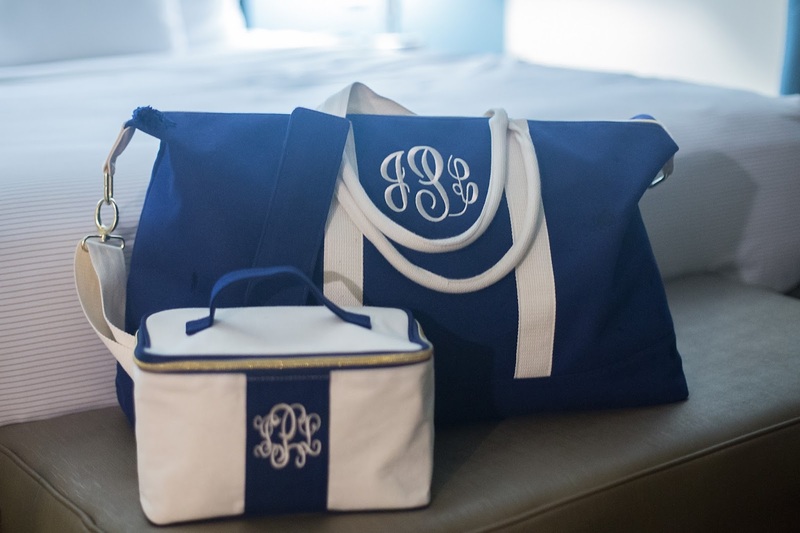 This bag is currently packed and ready to go with all of our beach towels and bathing suits for the beach! No trip is complete without a great pair of cozy pajamas and there are none better than from Royal Highnies. I found this fabulous brand while vacationing in 30A a few years ago and I've been in love with them ever since. I also love that they're local to me! Two duffle bags for a family of five is pretty darn good, huh? !